I am not sure if this ever happened to me in the old nav. But in the new nav, this is randomly coming without the summary divs of the questions. I was able to grab a screen of that behavior. I was able to reproduce this bug randomly. I couldn't observe any specific pattern when this was happening. Once the summary stops coming, the same happens for the following new questions from live refresh. EDIT: Here's the code that comes up. The problem looks like the question-summary narrow starts loading randomly. Still not able to get a specific pattern. UPDATE: This is still happening on Firefox and Chrome. Not sure if this matters but this seems to happen every time I keep the tab open for a while. The number of questions to be loaded doesn't matter. Turns out we weren't re-subscribing to the new real-time feed on any of the non-selected tabs when you changed your expanded/collapsed layout (which is a global-ish thing). A fix is rolling out with the next build (build rev 2015.11.2.3807 on MSO, 2015.11.2.2924 on sites). Not the answer you're looking for? 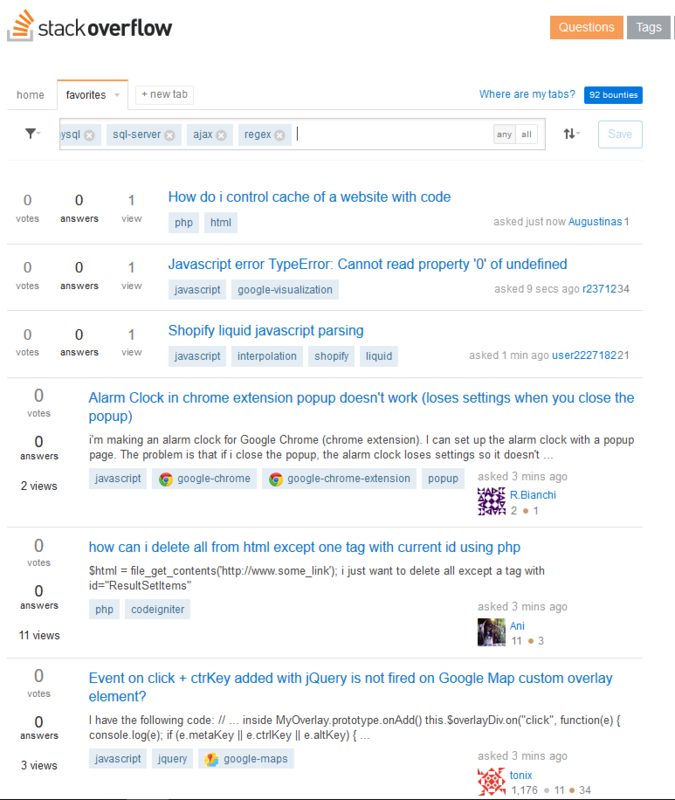 Browse other questions tagged bug status-completed new-nav live-refresh . Do you need to refresh pages after a while to continue getting live updates? Why new questions disappear when I refresh the page? Where is this rep coming from and why does it not add up?